Home » News » What are the Advantages of Fourslide Metal Forming? What are the Advantages of Fourslide Metal Forming? At James Spring & Wire Company, we perform a wide range of precision metal stamping operations, including forming, blanking, and piercing using high-speed fourslide machines and presses. Standard metal stamping has been a primary production method for many years, and is likely to remain so, but for more complex parts, we recommend fourslide metal forming. What is Fourslide Metal Forming? Though very similar to metal stamping in basic function, fourslide metal forming is capable of performing a variety of secondary machining processes in one smooth action. This option goes above and beyond the standard stamping methods. Like in progressive die stamping, a strip of metal is fed into a fourslide machine where four sliding tool blocks, each with a unique die, stamp the metal in a fixed order. 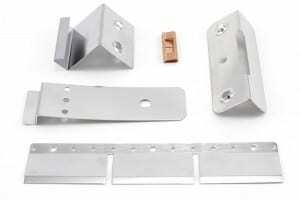 The benefit of this process is that it can bend, punch holes, or cut the metal strip as required. In integrating secondary machining processes into one machine, secondary machining jobs such as cutting, hole punching, and secondary or tertiary bends, can be formed seamlessly in a single step. Fourslide machines can eliminate multiple secondary machining steps from the production of complex parts. Using fourslide machines to streamline the production of types of springs can be an extremely beneficial to your business. When the manufacturing requires a high demand of product, with this process, you can save both money and time. We have been using fourslide machines to manufacture complex pieces and assemblies for more than 50 years with an in-house tooling fabrication service that supports our stamping capabilities. To ensure high-quality in all our precision metal stamping and metal forming products, we have various quality control programs in place, including statistical process control (SPC) and part certification. 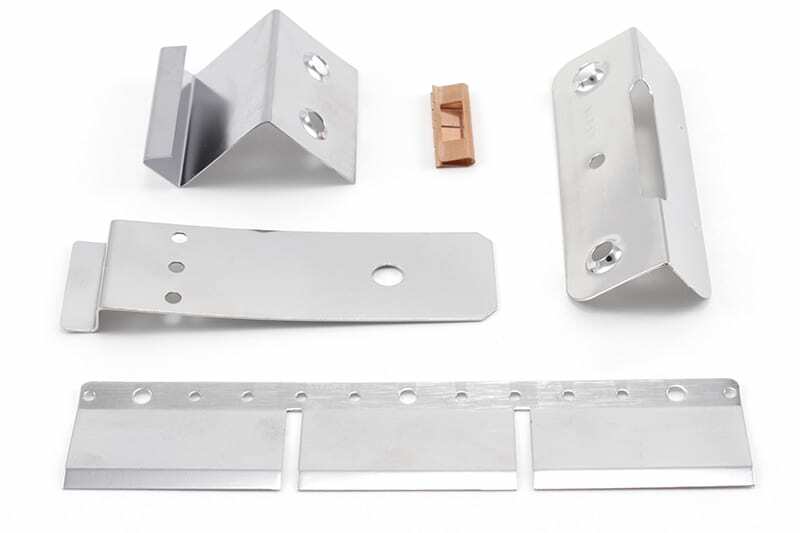 Learn more about our fourslide stamping capabilities and whether they’re right for your part by visiting our Precision Metal Stamping page. Copyright © 2019, James Spring & Wire Co. All Rights Reserved.